Microsoft Word, Excel. PowerPoint and the other applications that you know so well are all available to your business on demand — when and where you decide to work Break free from your desk and work on your terms with our Office 365 solution. Microsoft Word, Excel, Powerpoint and the other applications that you know so well are all available to you on demand — when and whore you decide to work. Break free from your desk and work on your terms. Office 365 kits you work using your favorite devices — PC or Mac, Phone, Android or Windows phone, iPad or Windows tablet. You decide Youll get the full, rich Microsoft Office experience on whichever device you choose. 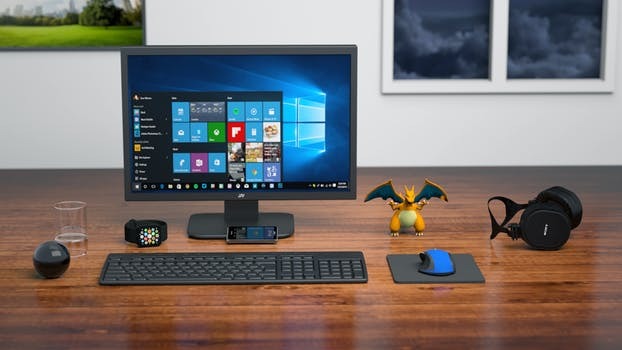 Once we setup your Office 365 account, you’re all set Your Microsoft Word, Excel, PowerPoint and other applications are automatically updated as new versions become available. We’ll take care of the support and IT management for you, so you can focus on your work. Whether you need to chat briefly on a specific topic, get a question answered immediately, set up a formal video conference or send an email to confirm a conversation, with Exchange Online and Skype for Business, Office 365 is your communications hub. Connect with colleagues and clients using multi-person web conferencing, instant messaging and corporate social networking with Yammer. Take corporate collaboration to the next level with Microsoft Sharepoint. Since your files are automatically saved online with Microsoft OneDrive, you can work on them, save them and share them with people inside your company or clients and vendors outside your company from wherever you are. Bonus: You can now edit documents with other collaborators in real time. Office 365 helps protect your files and emails with message encryption and data loss prevention. It also supports compliant archiving requirements with eDiscovery and legal mailbox hold.